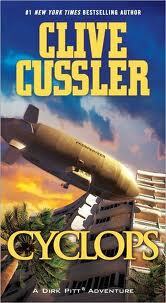 When Dirk Pitt intercepts a rogue blimp on a deadly course, authorities find four dead men aboard. None of them ,however, is the wealthy American financier who set out aboard the antique airship on an ocean treasure hunt in the Bermuda Triangle. He and his crew have disappeared, and the dead men are discovered to be Soviet cosmonauts. Meanwhile, the President of the United States is informed that a covert group of U.S. industrialists successfully placed a secret colony on the moon nearly three decades previously. Now, a Soviet mission is poised to land on the moon, and what they find there may lead to nuclear war. Threatened in space, the Russians are about to strike a savage blow in Cuba. From the cold ocean depths to a Cuban torture chamber to the CIA headquarters at Langley, Pitt is racing to defuse an international conspiracy that threatens to shatter the earth. 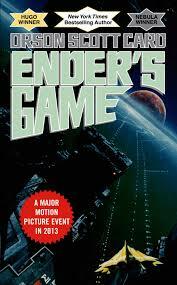 It’s been a long time since I read Ender’s Game but I remember liking it! Also, this paperbackswap site sounds delightfully addictive.